Created, directed and executive produced by LeSean Thomas (Children of Ether), the series follows the adventures and exploits of S.A.M, a high-end, royal-class friendship droid who’s joined by a quirky, discarded maintenance robot and a brash, deadly fugitive. Together, the unlikely trio embarks on an unforgettable journey in a fantastic and dangerous world in search of S.A.M’s best friend, the heir to a powerful kingdom under siege. Twelve episodes are being produced by Manga Entertainment Ltd, Nada Holdings and Satelight (Macross Delta). The protagonist Akira Fudo (Koki Uchiyama) learns from his best friend, Ryo Asuka (Ayumu Murase), that an ancient race of demons has returned to take back the world from humans. Ryo tells Akira that the only way to defeat the demons is to incorporate their supernatural powers, and suggests that he unite with a demon himself. Akira succeeds in transforming into Devilman, who possesses both the powers of a demon and the soul of a human. The battle of Devilman and Akira Fudo begins. Directed by Masaaki Yuasa, the 10-episode series is a Science SARU production and will launch on Netflix globally in Spring 2018. In a world powered by advanced technology, crime and action unfold in the archipelagic nation of Cremona. Koku, the protagonist. Keith, the legendary investigator of the royal police force RIS. A mysterious criminal organization. 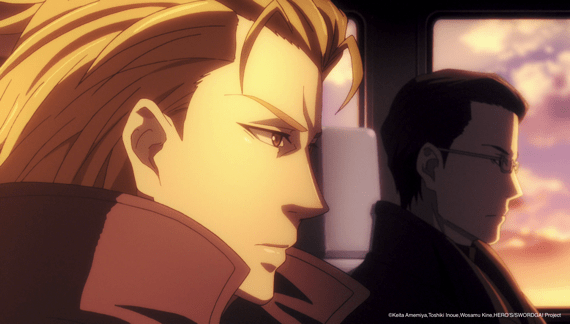 A wide variety of characters race through the fortified city as it is beset by the serial killer, Killer B, and a chain of crimes in this suspense drama by director Kazuto Nakazawa and Production I.G. The series is comprised of 12 episodes and is a Production I.G. 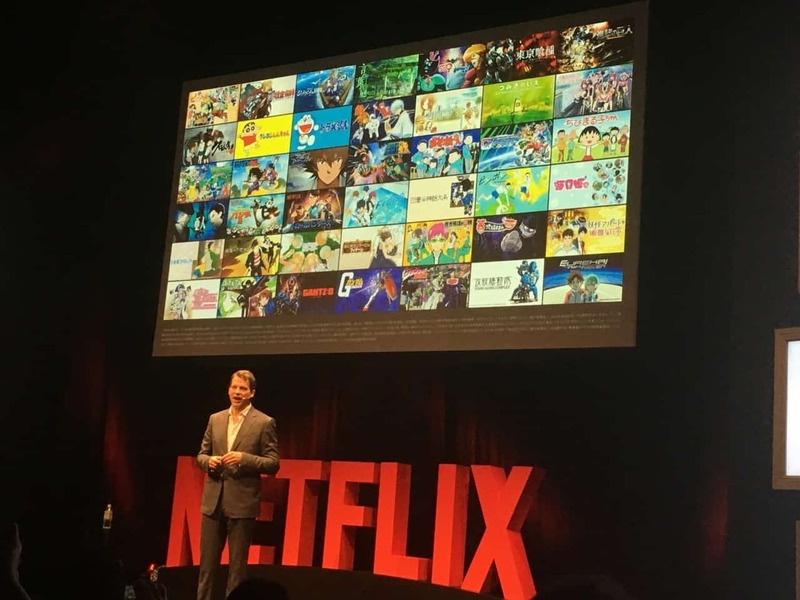 series that is set to debut globally on Netflix in Spring 2018. Directed by Kazuto Nakazawa and Yoshinobu Yamakawa, B: The Beginning stars Hiroaki Hirata, Yuki Kaji, Asami Seto, Hiroki Touchi, Minoru Inaba, Ami Koshimizu, Toshiyuki Toyonaga, Shintaro Tanaka, Atsushi Goto, Toshiyuki Morikawa and Kaito Ishikawa. A weapon that has drawn the blood of countless victims becomes legend, and at times takes on a life of its own. When such a weapon’s human host is filled with hate and murderous intent, he becomes a demonic combination of weapon and man that thirsts only for slaughter. An organization has faced these dangerous beings over the centuries. A young man named Gai is destined to live as a weapon. As humans are enthralled by their weapons’ power, epic battles unfold with the fate of humanity in the balance in this battle action fantasy. The series will debut globally on Netflix in Spring 2018. In Japan in the year 2035, an accident known as the “Burst” occurs during a research project, spawning an out-of-control artificial life form called “Matter” that has spread throughout the Kurobe Gorge. The research city that was once hailed as the hope for humanity is cordoned off by the government. 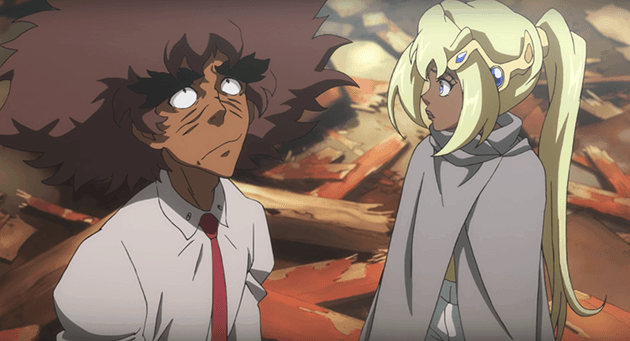 Two years later, 15-year-old Aiko Tachibana, who lost her family in the Burst, learns something unbelievable from Yuya Kanzaki, a new student at her school. A secret is hidden within her body, and the answer to the puzzle lies at the “Primary Point” that was the center of the Burst. Aiko resolves to infiltrate the restricted area, escorted by a team of divers and with Yuya as her guide. When boy meets girl with the fate of humanity in their hands, what new truth will come to light? The series comprised of 12 episodes is produced by Bones, whose notable works include “Psalms of Planets EUREKA SEVEN” and “My Hero Academia.” Directed by Kazuya Murata, the series will debut globally on Netflix in Spring 2018. Deep within the royal palace in the bustling capital city, the songstress Finis (Yukari Tamura) spends her days in solitude. Both share a special power no other person has. A miraculous power that can heal wounds, create water and stir the wind — the power of song. Guided by destiny, the two young women each face an arduous journey with the power of song. The shadow of war looms over the kingdom, tainting even the miraculous songs with the blood of innocents. Loved ones meet their deaths as silent screams echo through a stone prison. As two destinies intersect, will the final song be one of despair, hope or…? Directed by Junpei & Morita, the 12-episode series is a LIDENFILMS x Dwango co-production, and will debut globally on Netflix in 2018. Rilakkuma is a soft toy bear who showed up one day to live with an office worker named Kaoru. He spends his days lounging around the apartment. Although there’s a zipper on his back, what’s inside is a mystery. He loves pancakes, rice omelets, custard pudding and “dango” rice dumplings. His friends are Kaoru’s pet bird Kiiroitori and a small white bear cub named Korilakkuma who also showed up out of the blue. 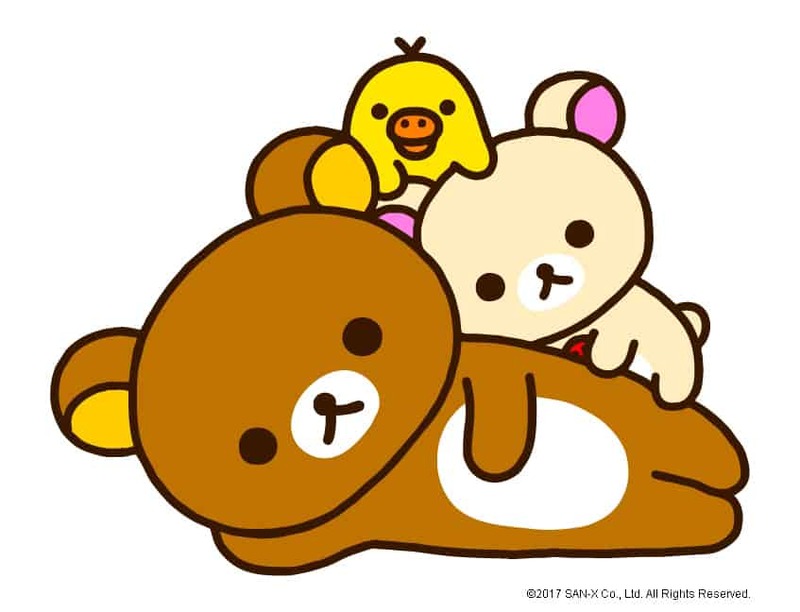 The series, comprised of 13 episodes, is produced by Dwarf and is the first stop motion animated series featuring “Rilakkuma”. 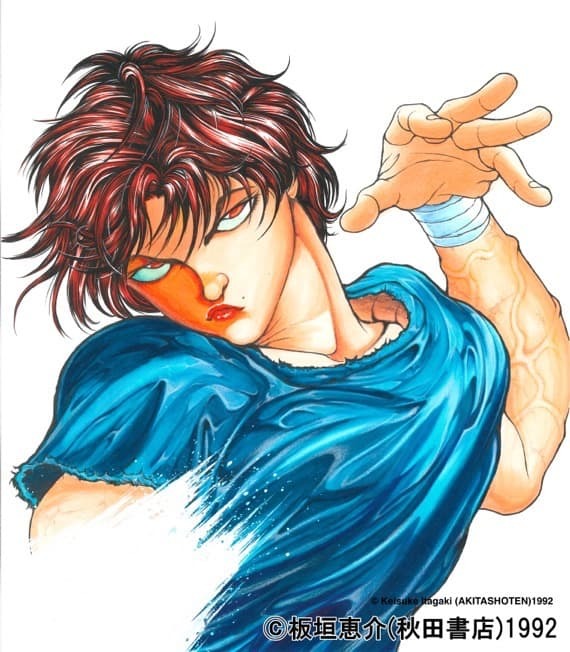 Based on Original Stories and Characters Created by Masami Kurumada, KNIGHTS OF THE ZODIAC: SAINT SEIYA follows modern day adventures of young warriors called “Knights”, who are sworn protectors of the reincarnated Greek goddess Athena. Each Knights wears a powerful armor based on their chosen zodiac constellation, and are called Knights of the Zodiac. They aid Athena in her battle against powerful Olympian gods who are bent on destroying the humankind. Directed by Yoshiharu Ashino, the 12-episode series is produced by Toei Animation. There is one absolute rule in gambling — at the end of the day, there is a winner and a loser. The winner gains riches and prestige, while the loser is branded a failure and left with nothing. In the silence leading up to the moment that separates winners and losers, instincts are sharpened and desires reach the point of ecstasy. This is a harsh microcosm of life in a capitalist society. Why are people captivated by a world filled with risk? What lies beyond the madness? As the class system of modern society crumbles, an unprecedented adrenaline-pumping anime sweeps the world. 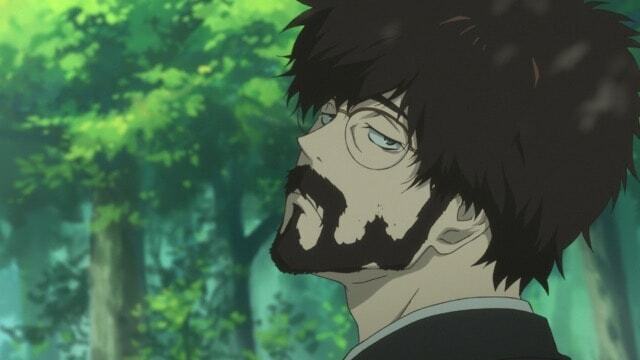 Based on the manga by Homura Kawamoto and Toru Naomura (Serialized in Monthly Gangan Joker published by Square Enix), twelve episodes of the series are being produced by MAPPA. Kakegurui stars Saori Hayami, Minami Tanaka, Tatsuya Tokutake, Yuki Wakai, Karin Nanami, Mariya Ise, Yu Serizawa, Tomokazu Sugita, Mayu Udono, Ayaka Fukuhara and Miyuki Sawashiro. Directed by Yuichiro Hayashi, the series will premiere in 2018 on Netflix, everywhere except Japan. 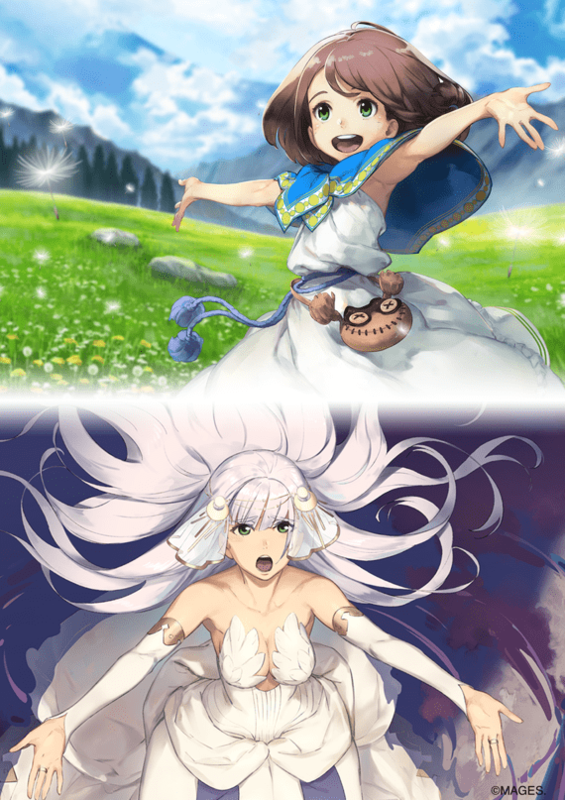 Fourteen Heroic Spirits gather for an apocryphal Holy Grail War. In a city called Fuyuki, seven magi and their Heroic Spirits once clashed in a Holy Grail War. But amid the chaos of the Second World War, a magus made off with the Grail. Decades later, the Yggdmillennia clan holds the Grail high and secedes from the Mage’s Association, declaring their independence. Angered by the move, the Association sends assassins after them, only to have them wiped out by a Yggdmillennia Servant. The choice is made to fight Servants with Servants, and the Holy Grail War system is expanded to two factions of seven Servants each. A Holy Grail War of unprecedented scale — a Great Holy Grail War — begins in Trifas, Romania. 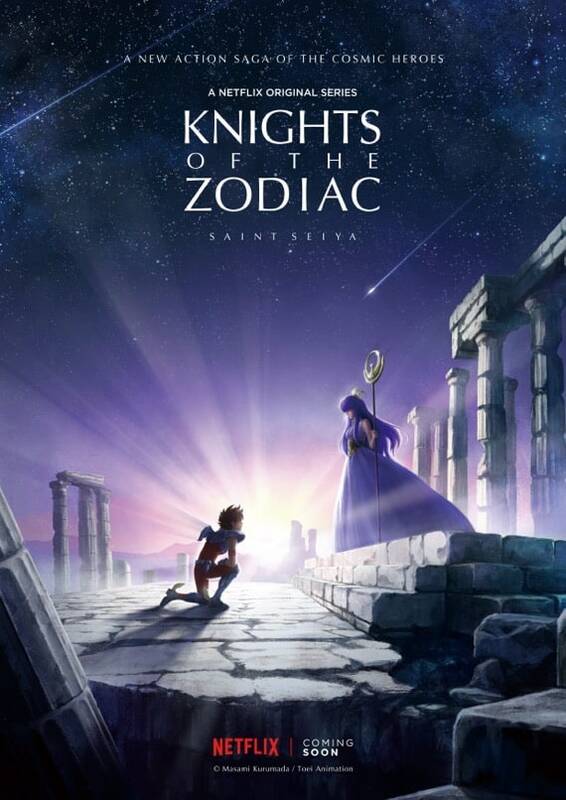 Directed by Yoshiyuki Asai, the series stars Natsuki Hanae, Maaya Sakamoto, Koki Uchiyama, Miyuki Sawashiro, Junichi Suwabe, Saori Hayami, Shunsuke Takeuchi, Koji Yusa, Ryotaro Okiayu, Makoto Furukawa, Rumi Okubo, Tetsu Inada, Mitsuru Miyamoto, Satoshi Tsuruoka, Ai Nonaka, Kei Shindo and Sakura Tange. Fate/Apocrypha is an ANIPLEX/A-1 Pictures production. The series will be 25 episodes that premiere is the US and Canada on November 7 and everywhere else, except Japan, on December 2. In a world covered by oceans of sand, 513 people live in complete isolation on the “Mud Whale,” an island-like ship adrift on the sand. Children of the Whales is an adaptation by director Kyohei Ishiguro and anime studio J.C.Staff based on Abi Umeda’s hit manga of the same name (serialized in Akita Shoten’s “Monthly Mystery Bonita”). Chakuro, the island’s archivist endowed with special powers, meets a mysterious girl named Rikosu as he investigates an abandoned ship that drifted up to the Mud Whale one day. It is the first time anyone on the island has made contact with someone from the outside world, but is it an auspicious sign that a new world awaits? 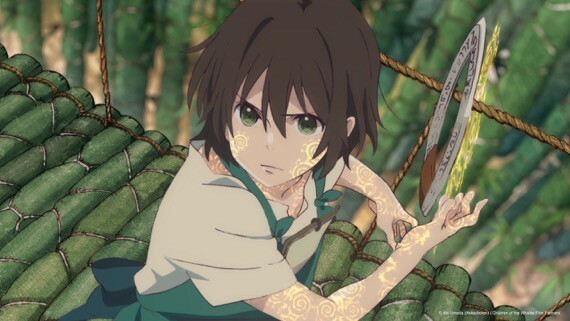 Directed by Kyohei Ishiguro, Children of the Whales stars Natsuki Hanae, Manaka Iwami, Yuichiro Umehara, Nobunaga Shimazaki, Mikako Komatsu, Daiki Yamashita and Hiroshi Kamiya. The series will debut everywhere except Japan on Netflix in 2018. Since it was first released as a feature film in 1954, “Godzilla” has become a colossal cultural icon loved by millions around the world. The 2016 release of “SHIN GODZILLA”, directed by Hideaki Anno, reinvigorated the franchise with a novel and realistic depiction of the iconic monster story, earning 82.5 million US dollars at the box-office and capturing the imagination of new and old fans alike. 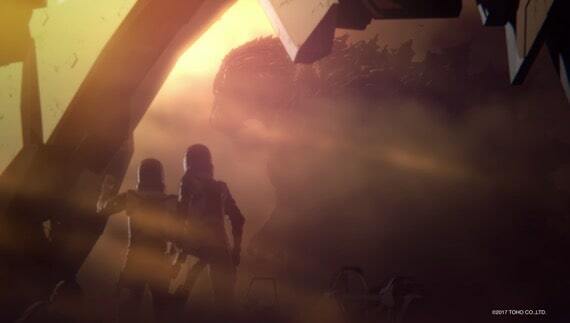 Now in 2017, GODZILLA evolves in an unexpected direction as a feature-length animated film. The animated movie takes the franchise into uncharted territory — a harsh world of the future in which Godzilla has dominated the Earth for the past 20,000 years, and a fateful final confrontation with mankind looms. The animated film stars Mamoru Miyano, Takashiro Sakurai, Kana Hanazawa, Tomokazu Sugita, Yuki Kaji and Junichi Suwabe. Prepare for the earth-shattering roar of a brand new GODZILLA, unlike anything heard or seen before. Directed by Kobun Shizuno / Hiroyuki Seshita, the movie is produced by Polygon Pictures.